Serving the Ottawa Valley – natural gas, oil and propane service for all makes and models. 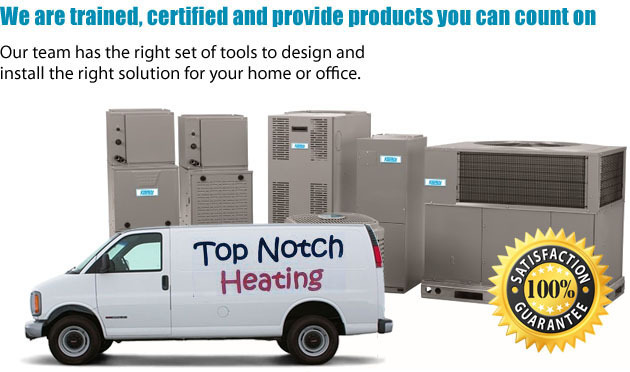 At Top Notch Heating, heating and cooling is our passion. We’ve had the opportunity to work on hundreds of exciting and interesting heating projects and we have worked closely with both our customer and supplier base to find solutions to some very complex, and sometimes challenging applications. 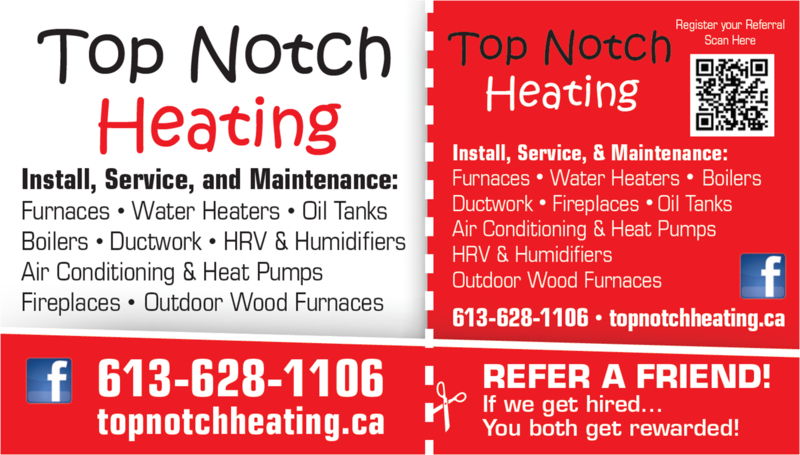 Top Notch Heating provides a wide range of HVAC services for residential and commercial properties from Arnprior, Petawawa to Barry’s Bay. If you don’t see what you are looking for here, contact us. We will be happy to answer any of your service questions. Did you know? We do furnace cleaning too! Have an emergency? We’re here for you!